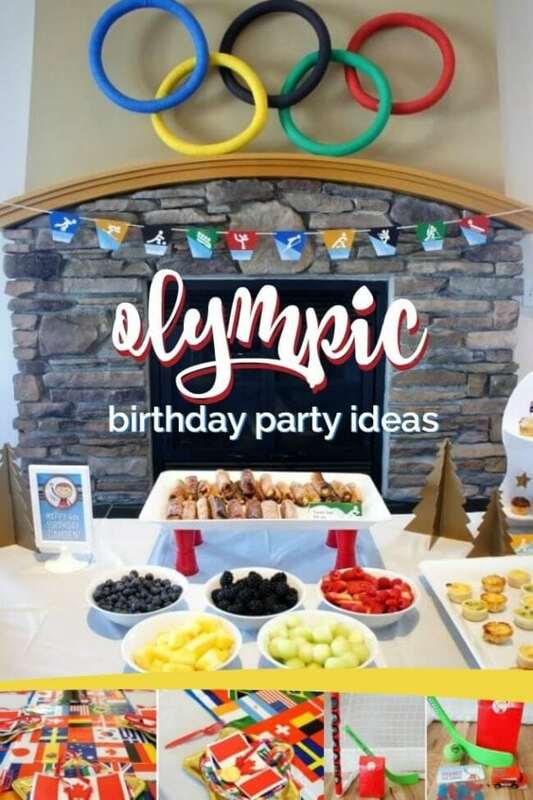 Check out the winning ideas at this Olympic themed birthday party! 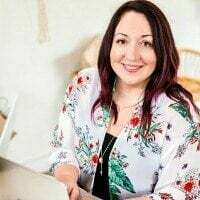 Graphic Designer/mama Chantelle Doll, of Dolled Up Design, had her son during an Olympics and Chantelle spent most of her time in labor watching the Games (what inspiration for her own event!). Fast forward 4 years and Chantelle realized it was once again time for the Winter Olympics—what a perfect celebration for her little boy. Check out this All-Star Sports Boy Birthday Party. Brush up on the competition with these sports party ideas. 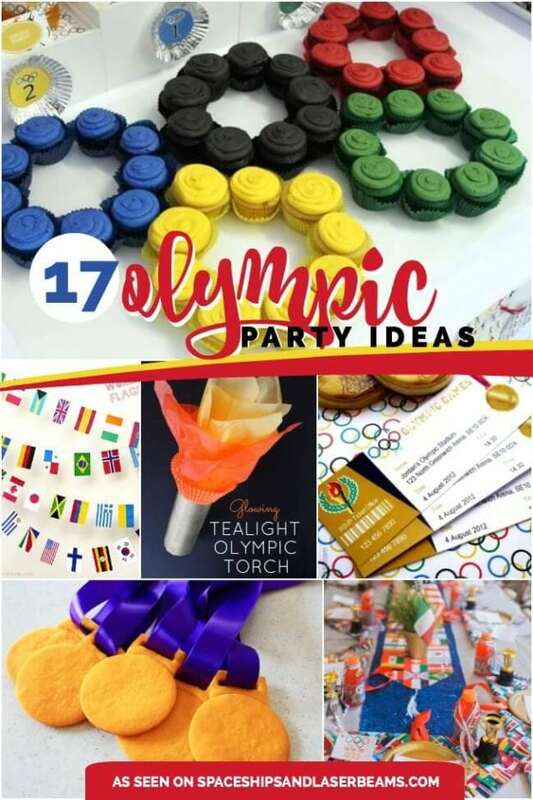 Chantelle’s Olympic themed invitations and printable decorations are awesome! 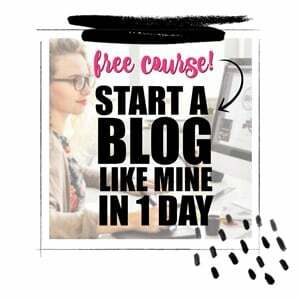 Look for the many stellar ideas she incorporated into activities, decorations, favors and food. Isn’t that a great tagline for a birthday invite?! I really like the festive place settings Chantelle designed; she dressed the table with colorful flag runners and matching plates that were layered with gold star-shaped dinner plates, lag-shaped napkins and small medals she made from ribbons glued to chocolate coins. Centerpieces were made from gold colored cardboard trees Chantelle found at after Christmas sales. Planning ahead paid off! A beautiful fireplace in the event space was transformed into a theme coordinating focal point. Chantelle constructed an impressive Olympic Rings Display from inexpensive plumbing insulation tubes and streamers. (Pool noodles would also work.) It looks amazing hanging above the cozy fireplace! A printable Olympic banner—designed by Chantelle—also hung from the fireplace. The entire arrangement was a great backdrop for the food table. Chantelle included food and sweets tables and came up with clever food choices that tied into the theme. For the brunch items she displayed bowls of fruit in the Olympic ring colors, fruit and yogurt parfaits, Little Smokies (<- this recipe is fantastic), raspberry cream cheese french toast roll-ups, mini quiche/breakfast cups, cinnamon buns and three types of muffins. I am blown away by the DIY mountain display stands Chantelle fashioned out of dollar store foam core to display her mini cinnamon buns and muffins! A colorful dessert table showcased sugar cookies with an M&M Olympic logo, curling rock brownies, hot chocolate mousse served in mini cups, and, of course, birthday cake whose layers were made in the five Olympic colors! I love how Chantelle used Mylar balloons in the Olympic ring colors to create a simple, but impactful, backdrop for her display. Thoughtful accents like a homemade torch and more 3-D trees added to the tabletop décor. A custom made bunting hung from the front of the display, adding a pop of color. Olympic hopefuls were kept busy at the decorate-your-own medal table. They had fun stringing colored pasta and a juice can lid onto ribbon to create their own Olympic medals. Guests were also kept entertained with a “pin the rocks” on the rings game, bouncy castle, mini hockey nets, sticks and pucks. Fun activities and great favors make a winning combination. Chantelle scored a great deal on the mini hockey sets at end of summer sales; she purchased enough so each child could play at the party and they also got to take them home. Keeping with the hockey theme, personalized treat bags were stuffed with small Zamboni toys, a foam hockey ball and a small bag of hockey player shaped candies. I’m really impressed with Chantelle’s savvy décor and activity ideas; her labors of love produced a precious son and party! Even though we are past the actual Olympic season, a set of your own “Olympic” games is a terrific idea for any boy’s birthday party.